At Dr. Li Wellness, your health and well-being is our top priority. The medically supervised weight loss program focuses on individualized nutrition, exercise, lifestyle changes, and one-on-one counseling to help you reach your goals, maintain your weight, and live a healthy life. Our personalized and supervised medical weight loss programs such as medication, nutrition plans, and exercise regimens, effectively treat patients who are obese or overweight lose weight as quickly as possible, but the right way. Are you looking for help to lose weight using a non-strenuous method with noticeable and long-lasting results? HCG weight loss may be right for you. Directly target and eliminate the stubborn fat and increase your energy levels. Feel good again in your own skin with facial rejuvenation. Whether you need to lose 10 pounds or 100, Dr. Zhexiang "Sherry" Li will guide you and support you throughout your journey. She will discuss the medical weight loss program with you and work with you to customize a plan according to your personal health needs and goals. Options include diet modification and meal planning (changing your diet to eat appropriate portions of healthy foods), meal replacement plans, and HCG weight loss, as well as weight loss medications and B12/Lipo-B fat-burning injections if appropriate for you. The medical weight loss program also incorporates exercise and lifestyle coaching and support, both of which are instrumental in helping you lose weight, manage stress and anxiety, and most importantly, maintain a long-term healthy life. Along the way, you might be interested in facial rejuvenation, as well, so you can look as good on the outside as you feel on the inside. 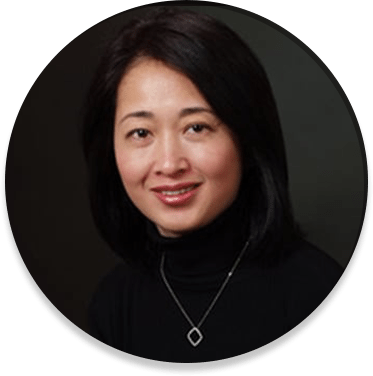 Board-certified in internal medicine and obesity medicine, Dr. Zhexiang "Sherry" Li has been practicing medicine since 2001. In 2004 she established her private practice in Florham Park, New Jersey and has been helping patients lose weight and live healthier lives ever since. Dr. Li is passionate about what she does and will be your biggest fan and cheerleader. Nothing gives her more pleasure or pride than seeing you accomplish your weight loss goals and transforming your life.